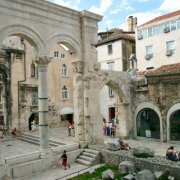 Diocletian's Palace is an ancient palace built by the Roman emperor Diocletian at the turn of the fourth century CE, that today forms the center of the city of Split. 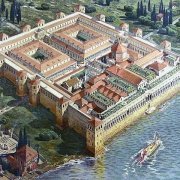 While it is referred to as a "palace" because of its intended use as the retirement residence of Diocletian, the term can be misleading as the structure is massive and more resembles a large fortress: whereof about half was for Diocletian's personal use, and the rest housed the military garrison. 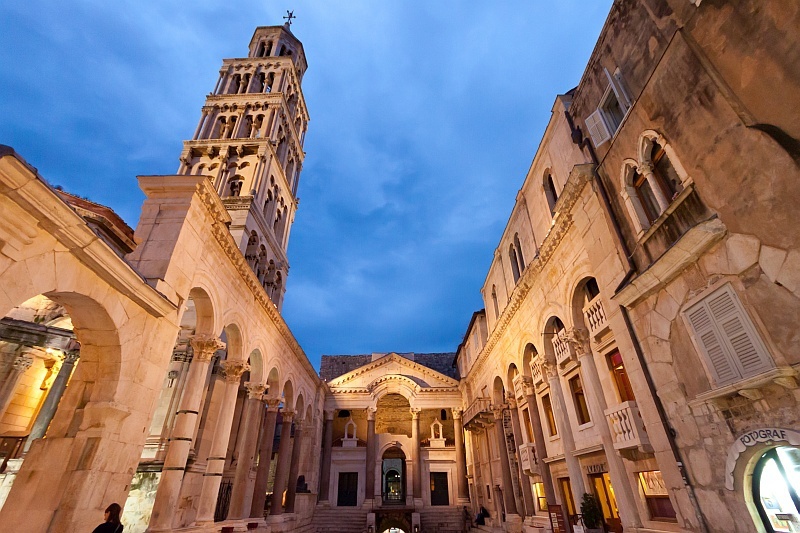 Diocletian built the massive palace in preparation for his retirement on 1 May 305 AD. 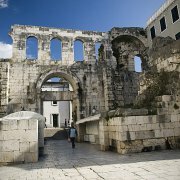 It lies in a bay on the south side of a short peninsula running out from the Dalmatian coast, four miles from Salona, the capital of the Roman province of Dalmatia. 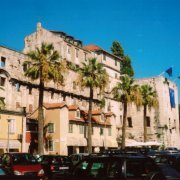 The terrain slopes gently seaward and is typical karst, consisting of low limestone ridges running east to west with marl in the clefts between them. This place is absolutely amazing. 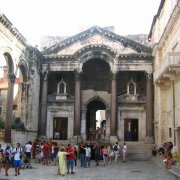 You cannot visit split without visiting the palace...after all it was from this that Split has emerged. The history of this place is awe inspiring and beautiful. 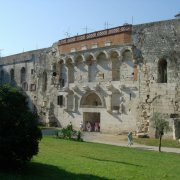 It is amazing that this place was initially built in the 4th century AD. 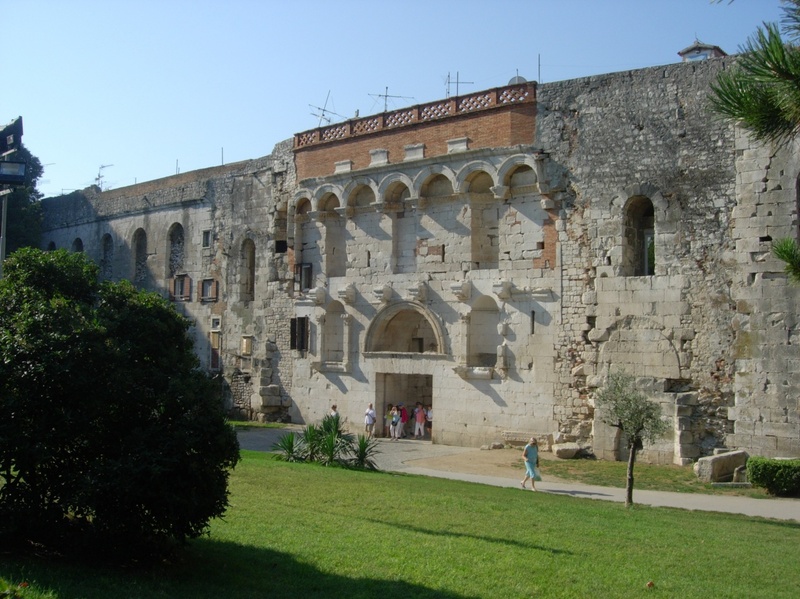 This UNESCO site is a must see. 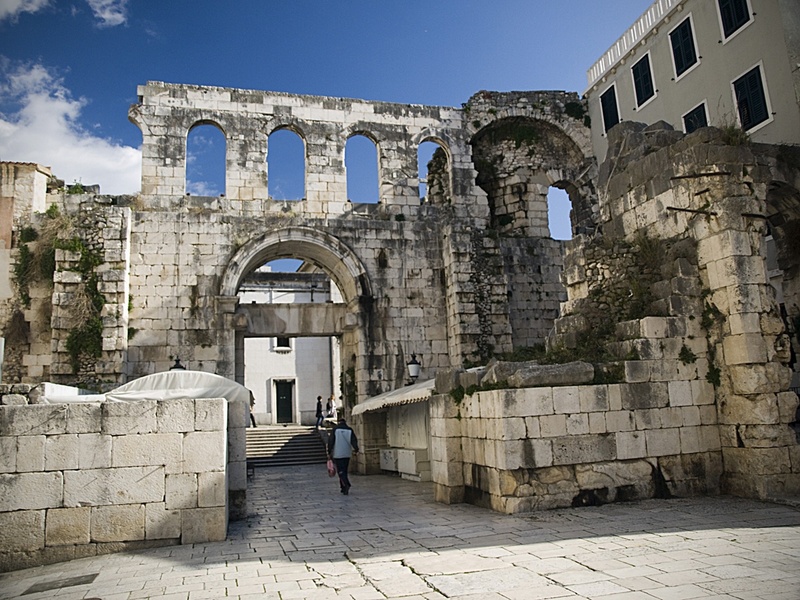 This Roman palace/fortress is now the heart of Split. 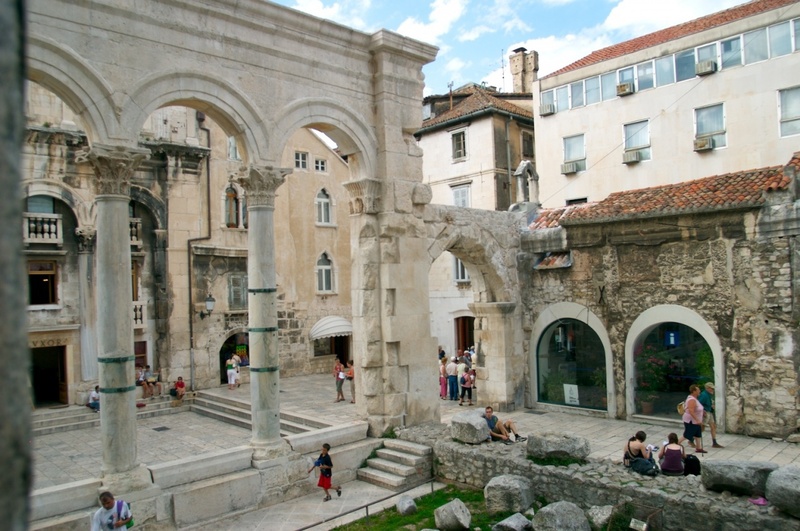 Each of its narrow streets is unique with a home, a specialty shop, restaurant or museum. Even its cellars are an architectural wonder with their complex overhead arches and circular brickwork. 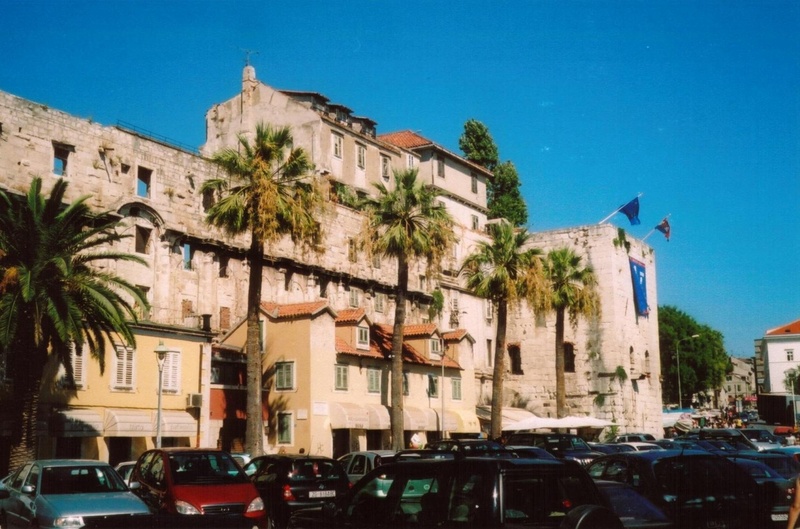 Fans of Game of Thrones will enjoy visiting familiar sets from the show. The palace that is a town. 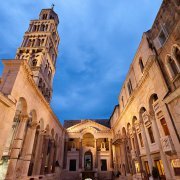 We tend to think of palaces as individual “castles”, but this is quite different: As you walk through this old town, you have to pay attention to realize that you are “in” the palace.It’s maze of streets is intoxicating and beautiful at every turn. 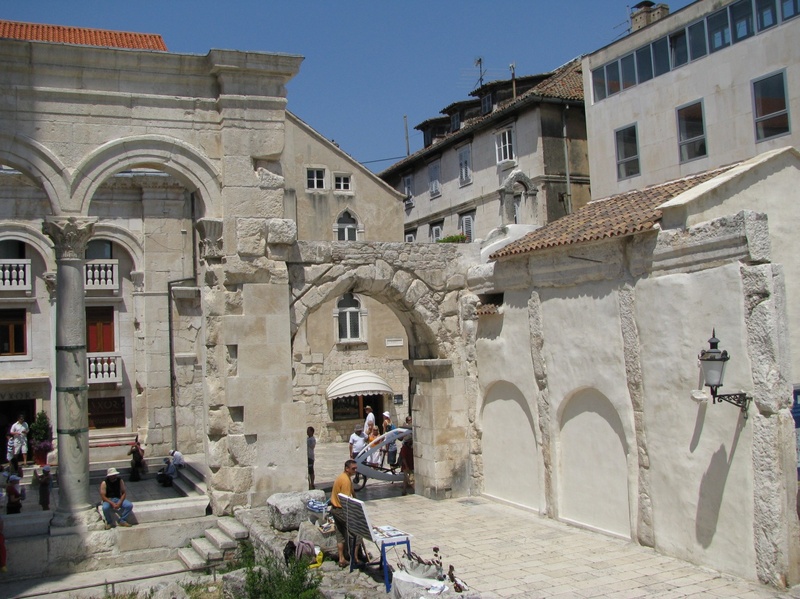 It’s particularly fun if you catch it on a slow day, when there are no cruise ships in port.Information signpost are few and limited, so stop by the tourist office (right next to Peristil square) to get some extra information. 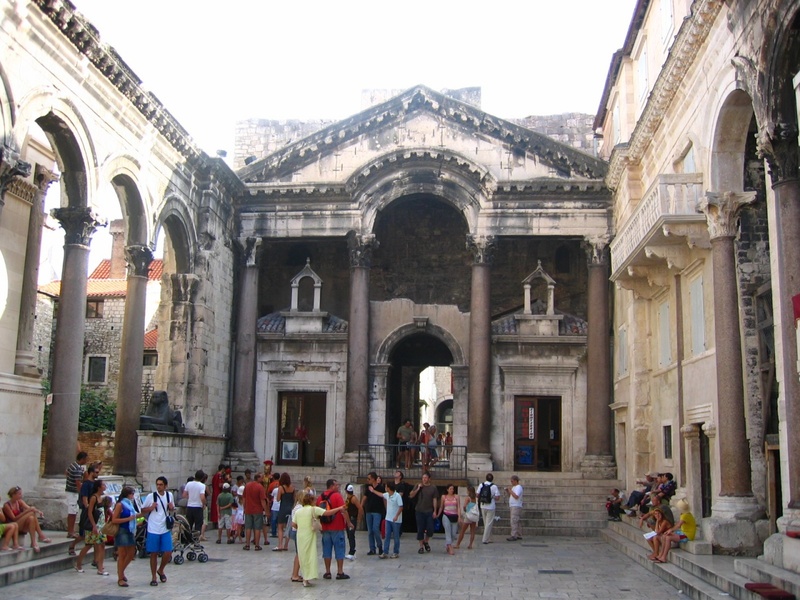 The palace of Diocletian is a beautiful structure even though time has changed the look of it. 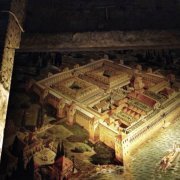 There is a number of books that show old paintings of the palace, reconstructions and visual representations of the original buildings. I would suggest that the travellor take advantage of these prior to walking around the palace. 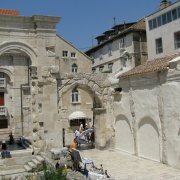 These books can be found in most of the bookshops in Split. 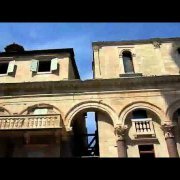 Walking around the palace the other day, I heard a tourist guide tell some tourists something about the palace that was untrue. I felt sorry of the tourists as I don't think any of them knew the truth. Most tourists don't do any research.